Engaged employees don’t just happen. They are nurtured by organizations with great cultures and strong leadership. Creating that culture of engagement and retaining employees longer is hard work. 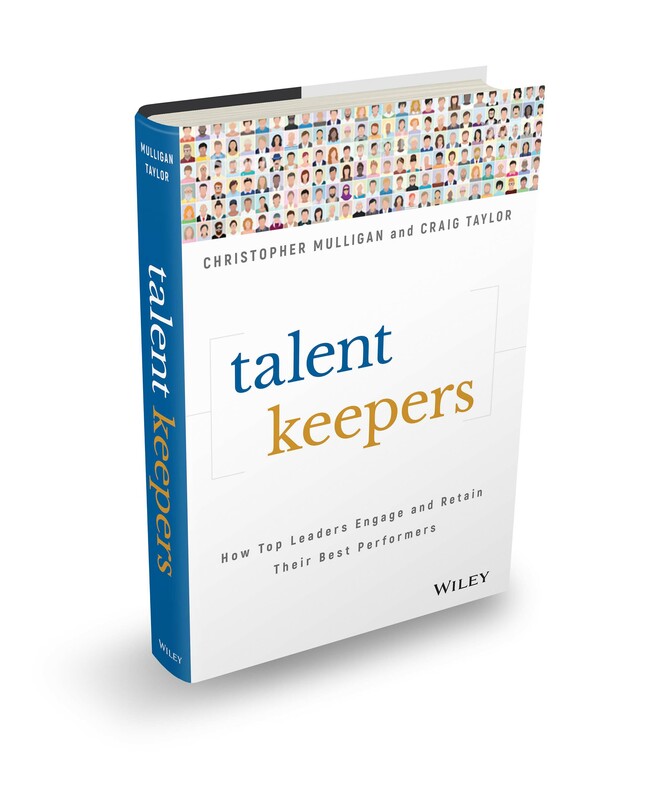 In Talent Keepers, co-authors Craig Taylor and Christopher Mulligan combine their decades of experience and offer readers strategies to inspire people to make a commitment to their employer, their role and their leader. The Bureau of Labor Statistics reports that employee turnover can be very costly to a business. The loss in productivity coupled with the expense of replacing and retraining a decamped prized staff member can translate into anywhere from 30% to 200% of that worker’s annual salary. Readers will learn how to get more people engaged, perform better and stay longer. Talent Keepers puts a new spin on a systematic approach to employee engagement and retention with precise tactics that have achieved proven results. It includes powerful methods of engaging employees beginning the moment they are hired. Christopher Mulligan is a national speaker, CEO, and executive coach to senior leadership teams within hundreds of organizations, Christopher’s 28 years of industry experience bring a unique understanding of what it takes to maximize organizational performance through people. Engaged employees are more productive. The higher our levels of engagement, the better our production numbers. But for us, the biggest thing we have seen is that there is a direct correlation between engaged employees and how they view safety. Where I used to see that the best engaged tended to be the longest term and most successful salespeople, I’m seeing that same correlation at Sheridan. The practices with the most engaged leaders are the highest and best performing practices in the organization. When your staff feels engaged, they take ownership for the organization. The ownership shows up in the quality of service they provide to customers, which obviously is a huge part of any organization’s success. What inspires people and fuels a commitment to their employer, their role, and their leader? How do “best-in-class” organizations retain great people while competition is fierce in areas like technology, healthcare, engineering, and even skilled trades? This book explores these questions and many, many more, offering a series of practical strategies and tactics you can put to work within your organization and with your team. CHAPTER 1: Engaging Your Talent Is a Business Imperative–An engaged workforce positively impacts the customer experience, which improves employee/customer relationships, and in turn generates more revenue. CHAPTER 2: What Engages People at Work? – The four drivers of employee engagement and their result on performance outcomes. CHAPTER 3: Leaders and Their Impact— Investing in leadership is the surest, quickest, and most complete business strategy on which an organization can focus. CHAPTER 4: Communication: The Lubricant of Change— Good communication strategies allow leaders to bridge gaps, strengthen the bond of their teams, and always ensure that messages are well received. CHAPTER 5: Solving the Career Growth Dilemma— For the past five years, “career Issues’ are the top reason employees are voluntarily leaving their jobs in the U.S. The implications of this on engagement are clear. CHAPTER 6: New Rules for Building a Leadership Team— Leaders are the head and the heart of the strategy to engage and retain talent. CHAPTER 7: Creating an Engagement and Retention Culture— No matter how your organization approaches the situation, culture plays a starring role in an employer’s success. CHAPTER 8: Building the Business Case for Engagement and Retention—You need data to build the case for support, funding to keep the initiatives moving, and mindshare coupled with commitment from those who are required to execute the actions you have planned. Former Executive Vice President, , Walt Disney World© Resort, Best Selling Author of Creating Magic, The Customer Rules, Time Management Magic and Career Magic. 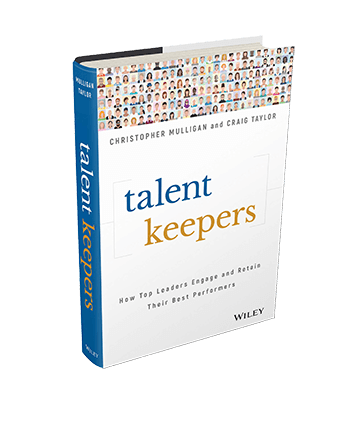 Order Your Copy of Talent Keepers Today!